Frederick Kiesler´s Film Guild Cinema New York opend in 1929 and was closed and destroyed in 1991. During their stay in New York Krüger & Pardeller managed to locate the place and found an empty excavated space. A simple setting served them as a model to follow the visual quality of Kiesler´s original. Abstract formations are continuously set up and deconstructed triggering a constant re-evaluation of form. 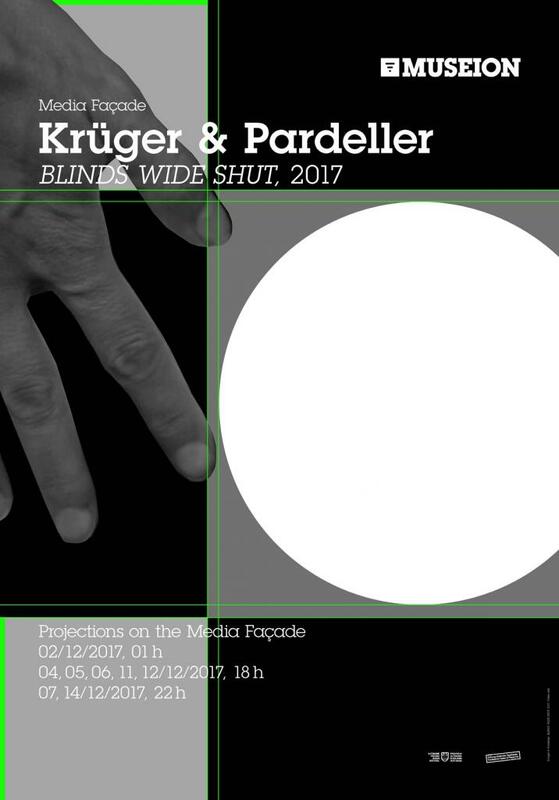 Blinds Wide Shut visualises and translates the usually hidden cinematographic techniques, the opening and closing shutters of the round lens and merges the apparatus of recording, with the apparatus of projecting. The museum turns into a double-bind vision machine looking back at the viewers.